Experience the heart-centered harmonics and all original blend of Shimshai’s reggae, sacred world and folk music. 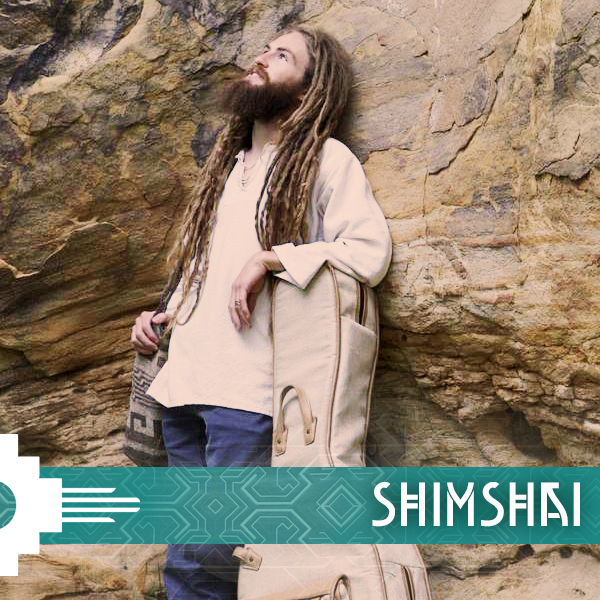 Shimshai & Seraphim Sound System (his band) have a large underground following spanning the globe. Shimshai’s blend of Reggae, Jazz, Kirtan, South American music and folk, infused with a world beat influence is presented with high energy bass, drums and various other instruments. Shimshai’s lyrics span multiple languages attracting international crowds. Fans in Israel, Colombia, BC, Australia, Europe and especially the Western US flock to Shimshai’s performances for a roots music experience. Shimshai’s deeply spiritual music has been creating devoted fans for more than a decade.